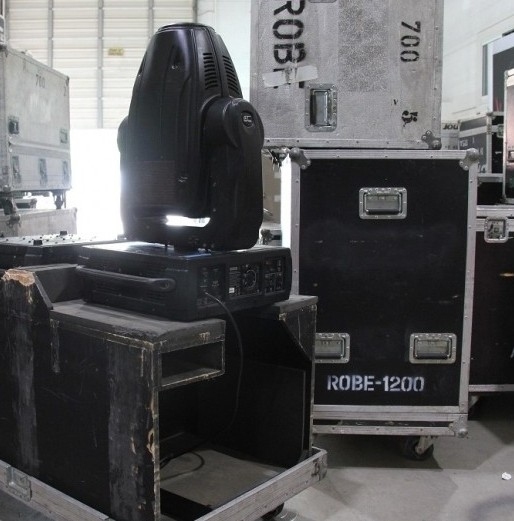 The ColorSpot 700E AT marks a new series of Robe 700W moving head fixtures. 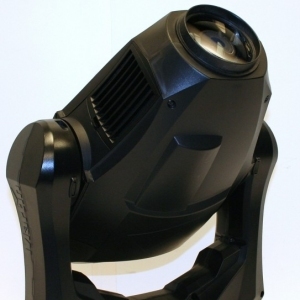 Featuring the MSR GOLD 700 FastFit lamp, it is ideal for all professional applications and installations. 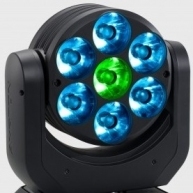 It also offers a full CMY and CTO colour mixing systems, a colour wheel with 7 replaceable ? 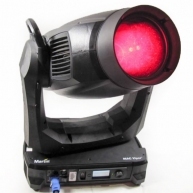 ?SLOT&LOCKdichroic filters; a static gobo wheel with 9 replaceable ? 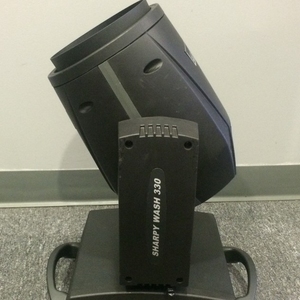 ?SLOT&LOCKgobos and a rotating gobo wheel with 7 replaceable ? ?SLOT&LOCKgobos; a replaceable animation wheel and a rotating 3-facet prism. 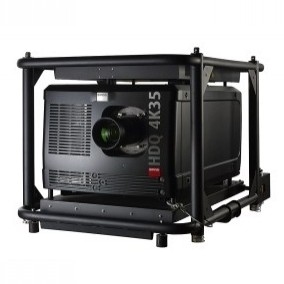 The zoom range is 15deg - 51deg and there's also Dimmer, shutter, strobe effects. ColorSpot 700E AT - ColorSpot 700E AT in good condition. 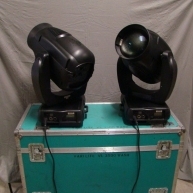 ColorSpot 700E AT - Package of (6) ColorSpot 700E AT in dual cases. 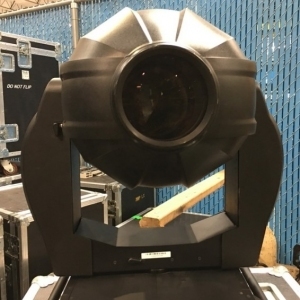 ColorSpot 700E AT - Used on various rentals. In good working order. 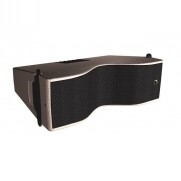 ColorSpot 700E AT - Comes with a dual case when purchased in pairs. 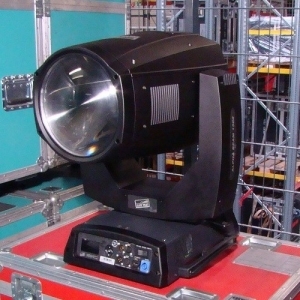 ColorSpot 700E AT - These ColorSpot 700E AT Have Only 450-500 Lamp Hours. No Touring. 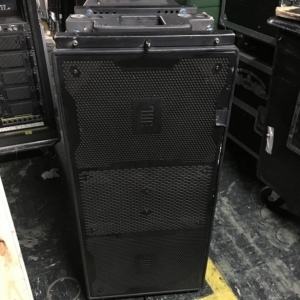 ColorSpot 700E AT - Used on corporate events. 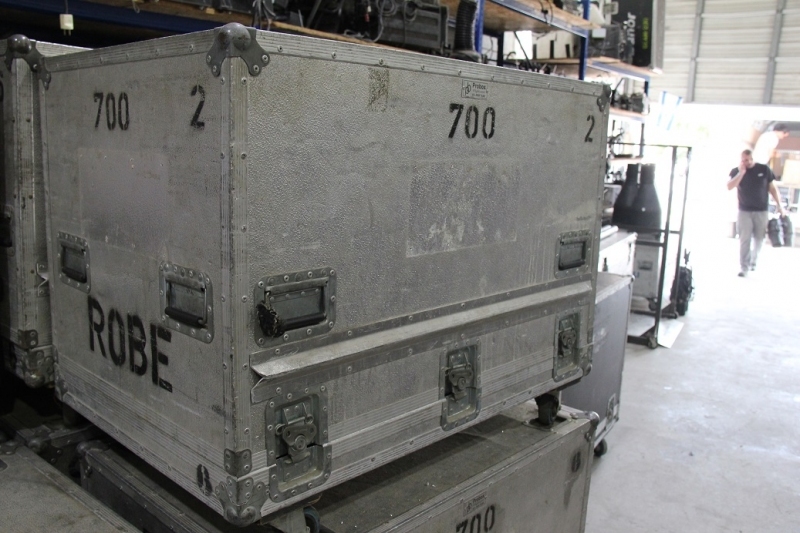 ColorSpot 700E AT - ColorSpot 700E AT in good condition, previously used in rentals. 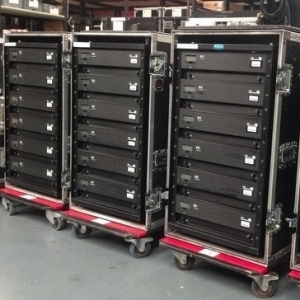 ColorSpot 700E AT - Used on various rentals and always cleaned and tested. 3000 hours of usage. ColorSpot 700E AT - ColorSpot 700E AT in great condition. Minimum purchase of (2) units. Priced per unit. 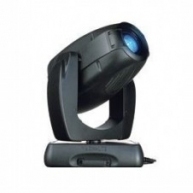 ColorSpot 700E AT - Comes with a 15 day warranty.